Will my goods be safe? 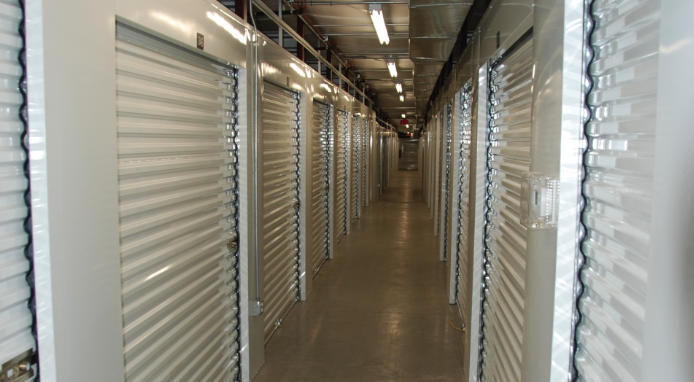 Self storage is an affordable, efficient way for you to store your possessions in a clean and secure environment. 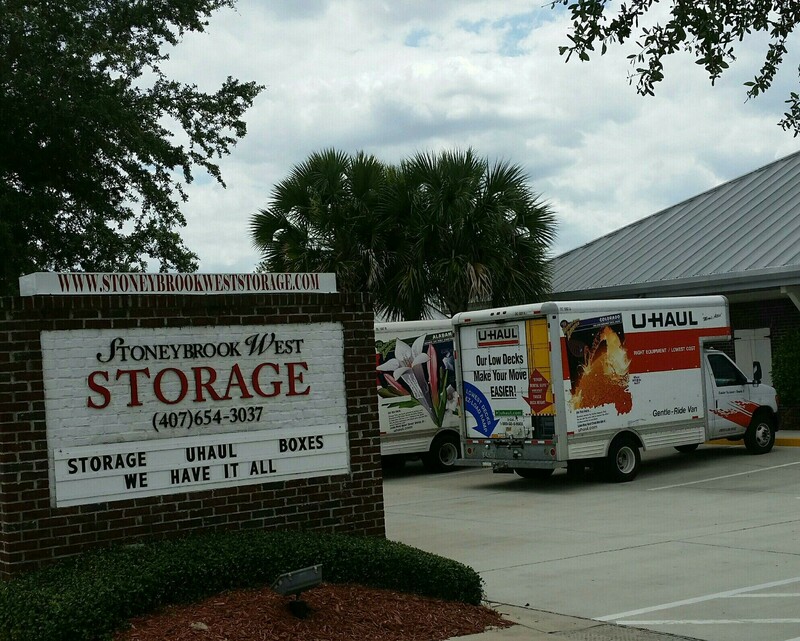 Self storage makes it easy to store items of all shapes and sizes in one convenient storage location. Do you offer storage for homes and businesses? • Household Storage: free up some space in your home or garage by storing those seldom used items such as seasonal décor or sports equipment. • Business or Records Storage: safely store your business inventory or files for a growing business. • Vehicle Storage: securely store your boat, RV, car or trailer. Vehicle storage can be indoors or outdoors and some of our facilities will even start your car for you once a month for a small fee, if requested. 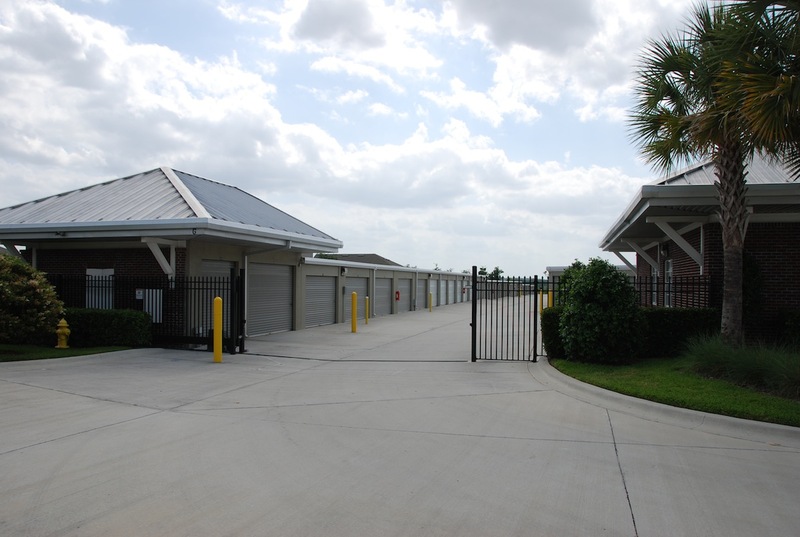 Not all of our facilities offer vehicle storage, so contact a facility near you to inquire. • Storage While Moving or Staging a Home- storage is a perfect temporary solution to store items while in between homes during a move or to de-clutter your home for staging purposes when it’s for sale. Do you offer special discounts to select groups? We offer several special discounts. We offer senior citizen discounts at all of our facilities. Additionally, as a way to say thank you to the men and women serving our communities and our nation, we offer a monthly discount to all active fire, police and military personnel. Special identification may be required to receive such discounts. Ask the facility staff for more information. What is a climate-controlled unit and do I need it? Climate controlled storage units are temperature controlled ensuring your items are not exposed to extreme temperatures. Our climate controlled facilities are housed in an indoor finished building where dirt and dust are less likely to penetrate. This type of environment is ideal for storing furniture, photographs, discs/records, electronics, as well as other items that may be affected by humidity and extreme temperature fluctuations. Do I receive a lock when I rent a unit ? To ensure you are the only one with access to your items, we require customers to supply their own locks. For your convenience, we sell locks and a variety of other packing and moving supplies in store and online (with free shipping). All these supplies can be found at affordable prices too! Do you offer dollies or moving carts ? Yes, most of our locations have dollies, hand trucks or carts available for customers to use for free. It is recommended that you contact your Property Manager to make sure that these items will be available on the day you plan to use them. How do I get my items to my unit ? 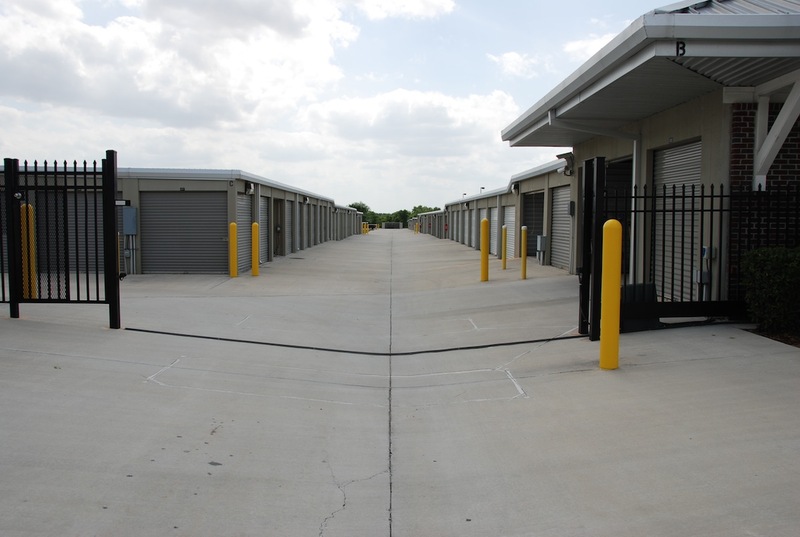 Many of our locations have extra wide drive aisles, allowing your rental truck or movers easy access to your unit. Hand carts and/or dollies are also available for use. We recommend contacting one of our helpful staff to check truck and hand cart availability. Many of our locations also have large elevators to make moving into a unit on an upper floor much easier. How long are your leases ? We offer month to month leases, meaning no contracts and no commitments. How often can I access my unit? Office and access hours vary by location. Please visit the location nearest you for office and access hours. Can I purchase boxes and packing supplies at your facilities? Yes, our properties carry a variety of boxes, locks and supplies to make your move easier. Payments can be processed by mail, in person at the storage facility and online at MAKE PAYMENTS. You may also arrange to have payments automatically charged to your credit card each month. Please ask your Property Manager about this feature. What size units do you offer and how much do they cost? We have a wide variety of unit sizes to meet any need. At most locations, unit sizes range from 25 sq ft to over 300 sq ft. Unit sizes and prices vary by location, so please contact a facility near you for available sizes and prices. How do I calculate how much storage space to rent? Choosing the right size unit will ensure you only pay for the storage you need. First, create a list of the items that you are going to be storing. Check out our size estimator to determine exactly what size you will need and be sure to visit our helpful tips to maximize your storage space! Still not sure what size you will need? Call or stop in and ask our expert property staff who can assist in determining the right size for your items. Just give us a brief description of what will be stored and we’ll help you determine how much space is needed. We accept all major credit/debit cards, checks, and cash. Yes. We have excellent staff on-site at each of our facilities during office hours. 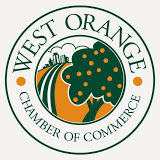 Office hours vary by location, so be sure to check the office hours on our website. Do I have to give notice to vacate my unit? Yes. We require a vacate notice in writing 10 days prior to the move out date. This notice should include your name, your unit number and the date that you will be moving out. For example, if you plan to move out July 16th, we would require a move-out notice from you by July 6th. You can email, mail or drop off a letter to the Property Manager. Do I need insurance ? Yes, coverage for your stored goods is required. You have two options for coverage. You can choose to bring proof of your homeowners or personal property insurance at the time you sign your lease or you can purchase the tenant insurance that we offer through the Bader Insurance Company. Policies start as low as $8.00 per month with a zero deductible. We strongly recommend you consider the Bader products. Keep in mind that many homeowner’s policies will not cover your goods stored here and that if they do there may be many restrictions. Homeowner’s and renter’s insurance is best suited for your dwelling. Bader has insurance tailor made for storage. Yes, you can pre-pay your monthly payments in advance. Actually, we reward those who choose this option! If you pre-pay 11 months, you receive your 12th month free! What other resources do you offer? Whether you’re moving, storing while away on active military duty, or just making some extra room in your home, we offer several additional resources to help make your storing experience the best it can be. If you have questions or needs, our experienced property staff is an excellent source of information. They are trained in all aspects of self storage and can offer valuable tips and advice. They can even refer you to other local resources should you need more assistance. What does on-site manager mean? “On-site manager” means that an employee, usually the Property Manager, has an apartment on-site as part of the facility. Although they are not “on duty” 24/7, having a person that knows the property well on-site can add peace of mind to your experience and offer some additional security benefits. What types of security do you offer? We take great strides to protect your belongings while they are in our care. The following security features are available in some combination at most of our facilities. We recommend you review property features online or contact a facility directly to learn more about their specific security features. 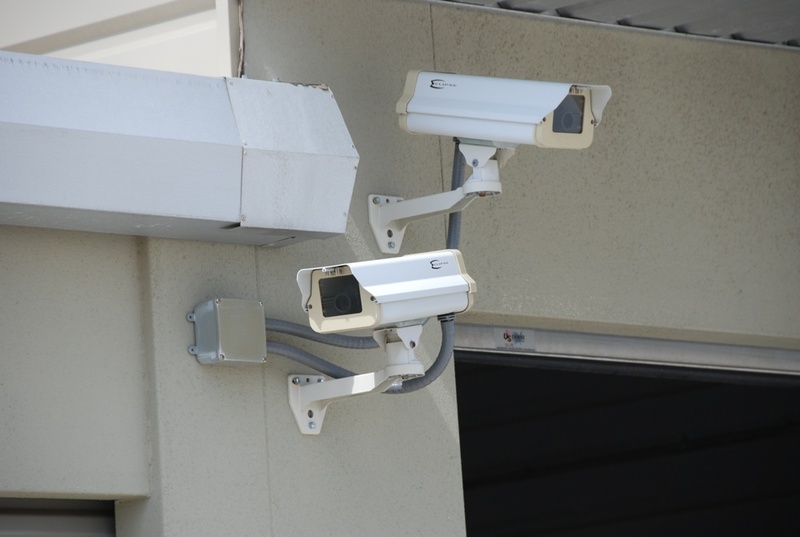 Video cameras: Most of our facilities use recorded video cameras as a security measure. 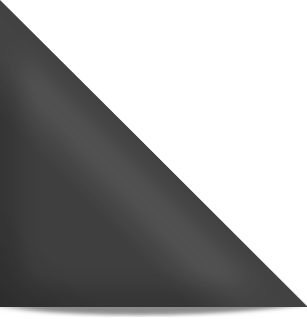 Cameras are generally located at the point of entry and exit and other areas around the facility. The number of cameras and the type of system that is installed at each facility will vary based on the design of the facility. Electronic Gate System: Most of our facilities have an electronic gate system which can only be opened by a security code that is assigned to each individual tenant at the time of lease signing. The code allows us to monitor who is entering and exiting the facility and ensure that only customers have access to the property. Personal Locks Available for Purchase: To ensure you are the only one with access to your items, we require our customers to supply their own lock. We sell locks in all of our stores. Individual Door Alarms: Several of our locations offer individually alarmed units, meaning if someone were to tamper with your unit, the electronic security system would be activated and the proper measures could be taken immediately by our staff. Fenced & Well-lit Facilities: Most of our properties contain fencing around the parameter to deter intruders and to keep animals off the premises. Our properties are well-lit to ensure your personal security while on-site after dark and to make sure any suspicious activity is visible. 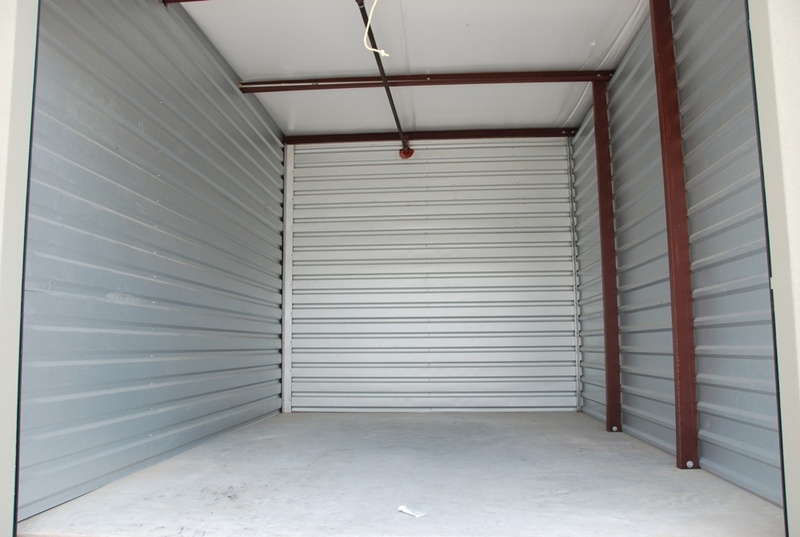 Roll-up doors are the most common doors found in self-storage facilities. They are accessed by sliding a latch and lifting the door upward, similar to the motion of a garage door. Roll-up doors allow you to maximize the usage of your space. Do you offer RV/boat/trailer/car/motorcycle parking? A large number of our properties offer indoor or outdoor parking for RVs, boats, cars, trailers and motorcycles, but this is not a standard offering at all locations. Cars that are stored are required to be tagged, insured and drivable. 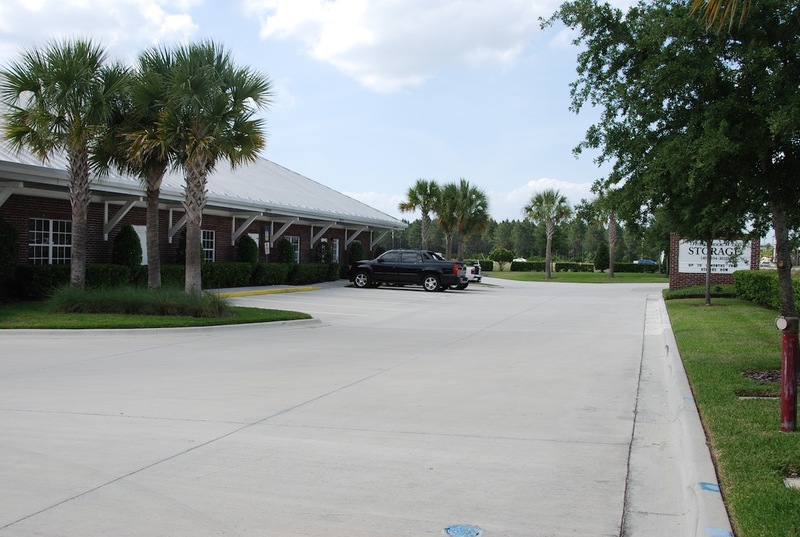 Some of our facilities even offer a monthly car starting service for a small fee. Find a location near you and review the property features to see if vehicle parking is available or call the property directly for more information. 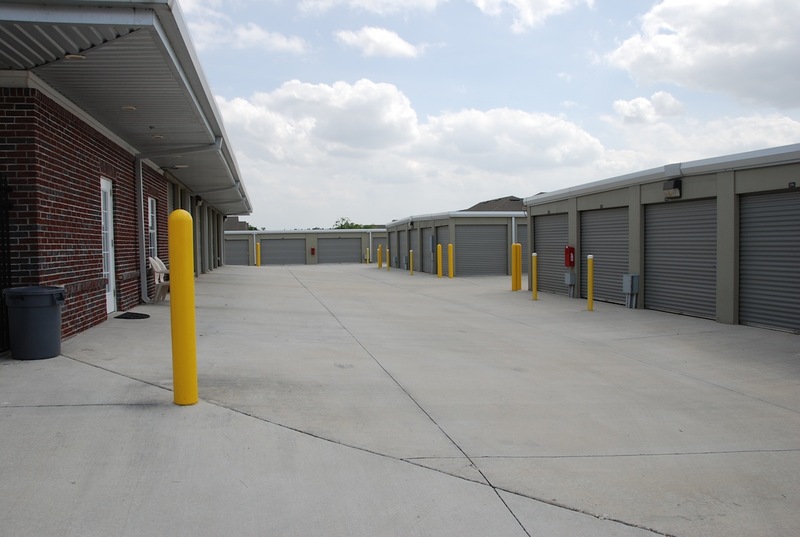 A drive-up unit is an outside unit, located on the first floor of a facility that gives you the ability to load your items directly from a vehicle or truck. An outdoor unit can be accessed without entering a storage building. In most cases, drive-up units are only offered outdoors. An indoor unit is located within a building on the property and will require you to go inside to access your unit. What's the difference between office hours and gate hours? 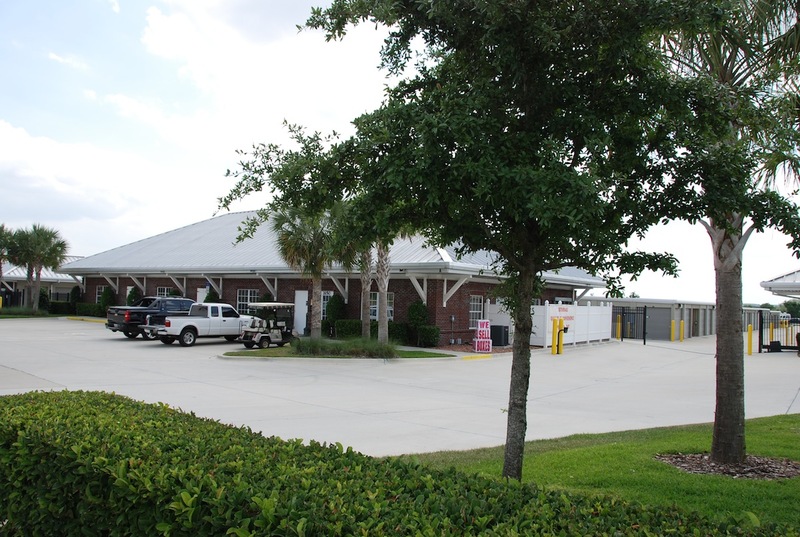 The office hours represent the time frame in which the Property Manager will be available to assist you with your storage needs or moving and packing supplies. The gate hours are the hours in which you can access your unit. If you require access outside of our standard gate hours ask your Property Manager for information about extended or possible 24-hour access. To help our customers plan ahead, we will take reservations up to 30 days in advance of your move in date. Reservations are secured with a $25 deposit. Although this deposit is not refundable, it is applied toward your first month’s rent and is necessary to hold the unit availability and to lock in your rate and promotion.